Summer has finally arrived! This makes us enjoy the sunny and hot days at the lakes, celebrate barbecue parties at the weekend and sit around the camp fire in the warm summer nights. This unique summer feeling gives us a feeling of joy and freedom and should never pass away. 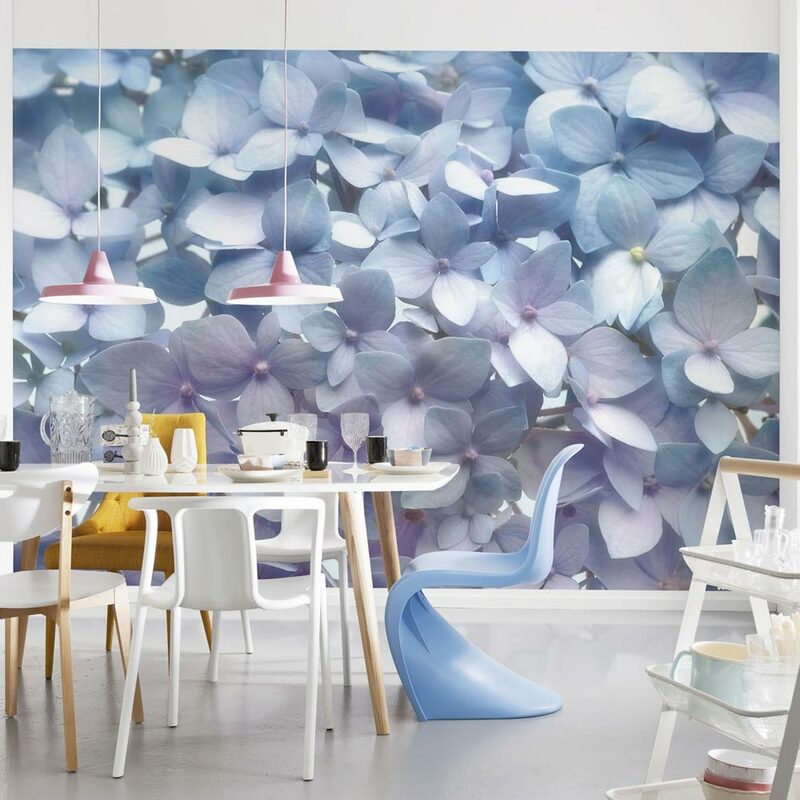 If you want to enjoy the beautiful summer mood not only from June to August, you can take photomurals with summer motifs to get this special summer-feeling all year round. 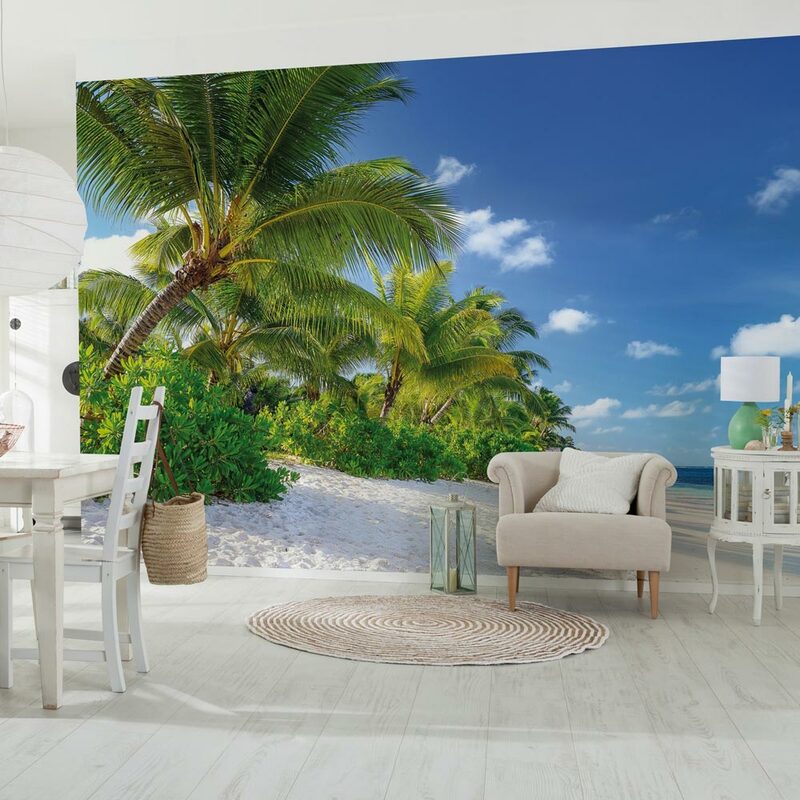 For summery flair in the living room, photomurals with beach motifs, southern landscapes or cheerful flowers are perfectly suited. 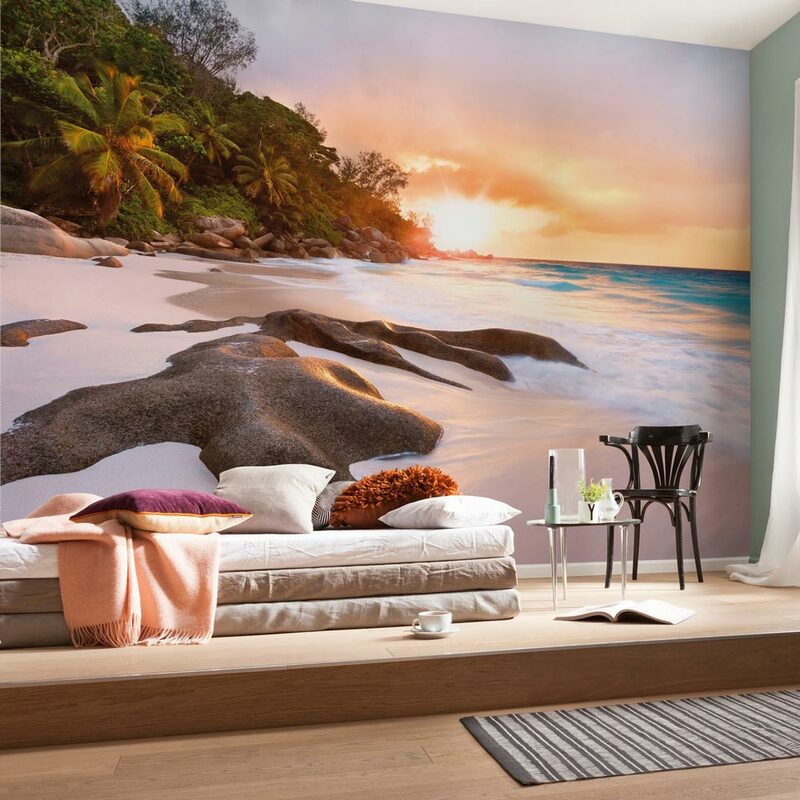 The ultimate holiday feeling is provided by photomurals with paradisiac beaches. The classic photomural motif of the famous palm-lined sandy beach is still the essence of freedom and relaxation. 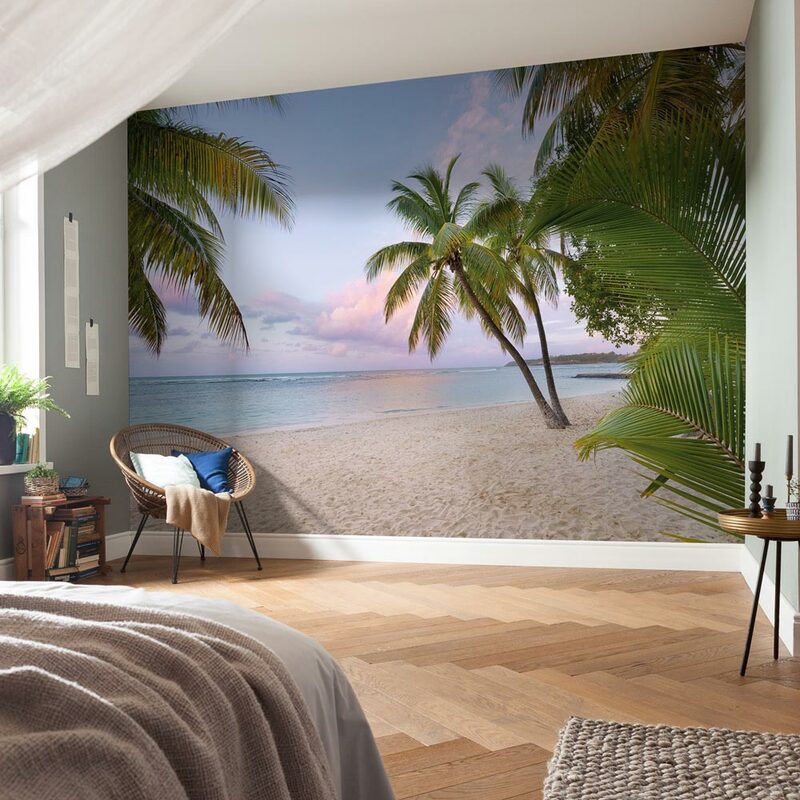 As a mural for the wall, beach motifs bring the holiday directly into the living room and let us dream - even on dull, cold winter days! As a matter of fact, furniture and living accessories are combined in sandy shades like light gray or soft beige to complement the maritime space concept. 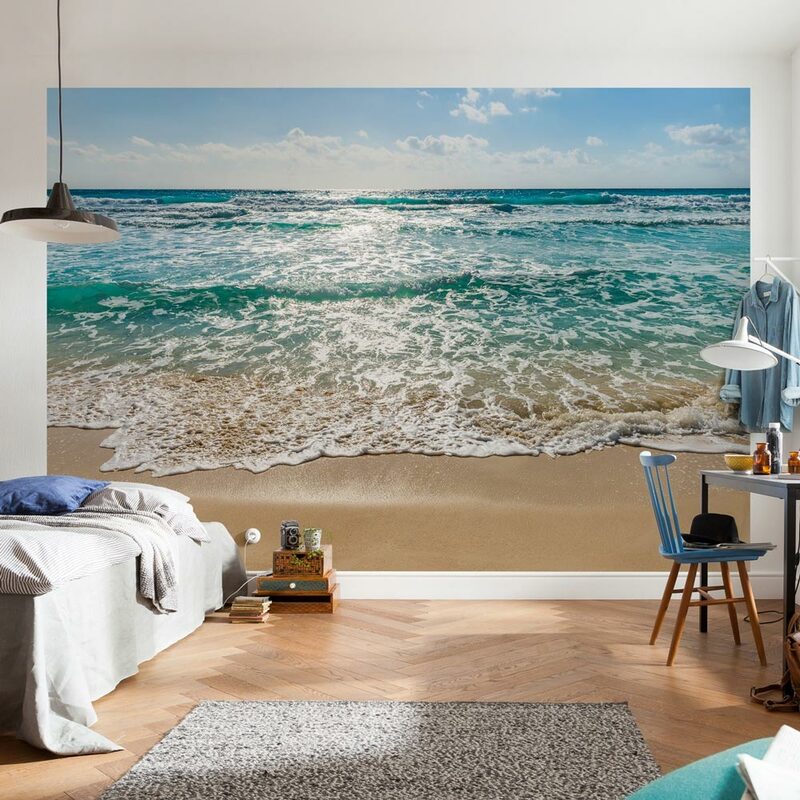 >> discover more photomurals with beach motifs! 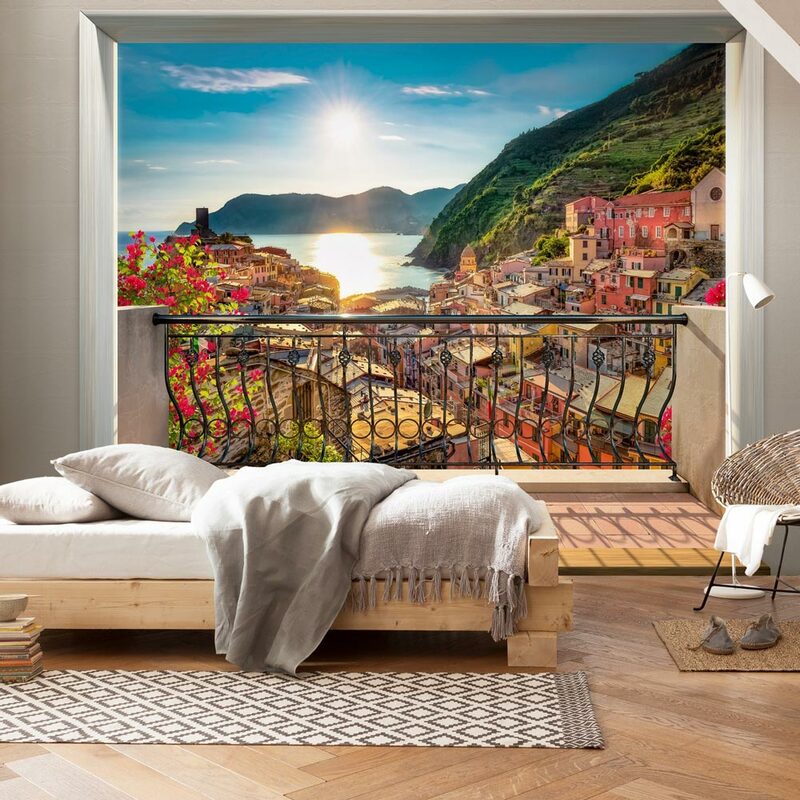 The picturesque, artistic districts of the Italian Cinque Terre or the French Côte d'Azur convey a southern lifestyle. 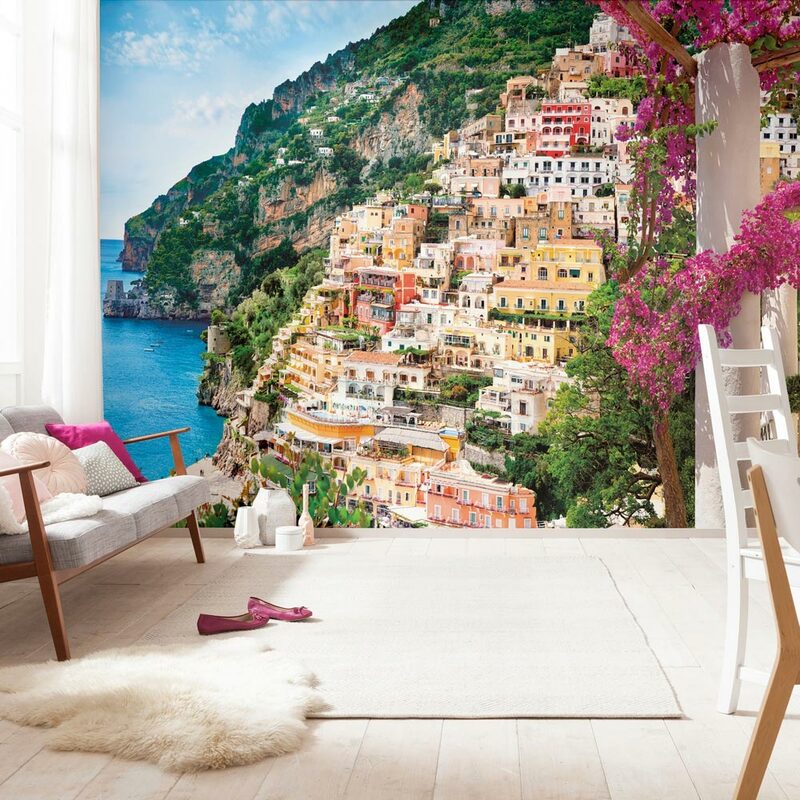 The beautiful panoramas of Positano, Vernazza or Liguria bring the Italian "Dolce Vita" to everyone’s home. 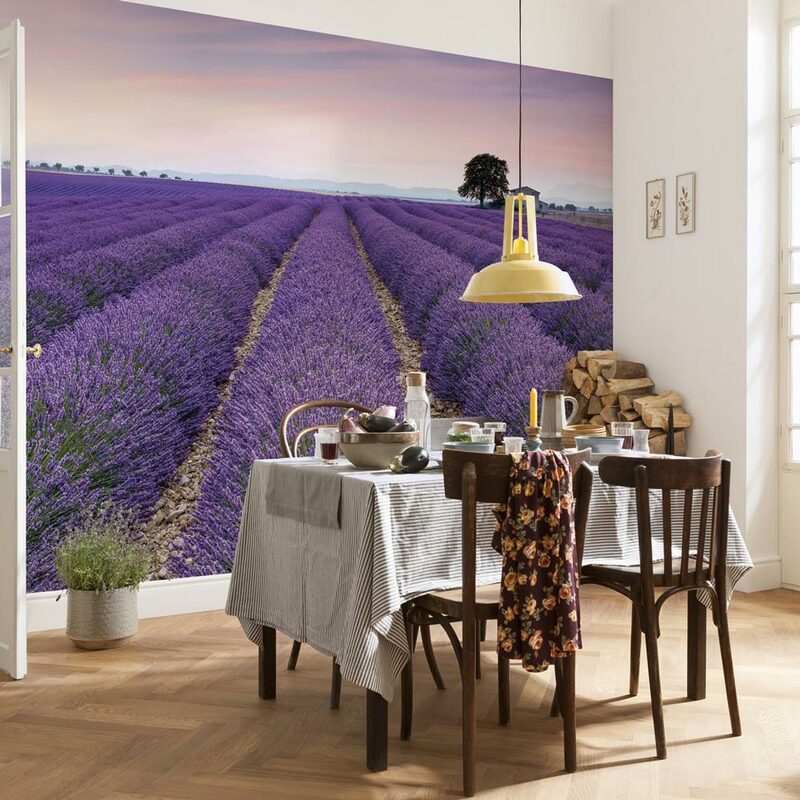 The lavender fields of the Provence and the historic old towns of the small French villages conjure up the charm of southern France and ensure holiday flair at home! 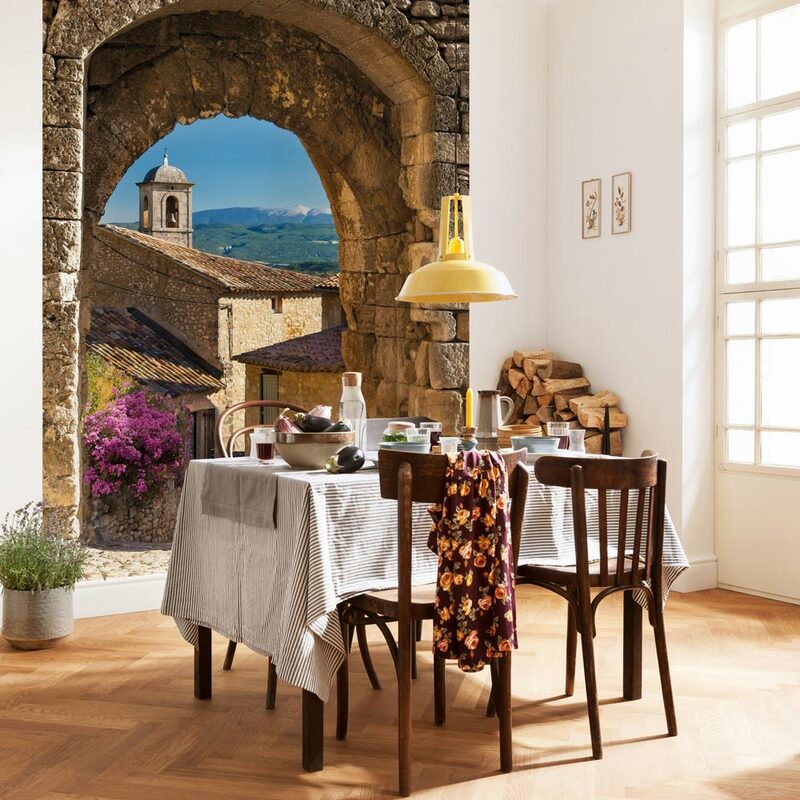 Furniture and home textiles made of natural materials such as dark wood or light-beige linen can be combined ideally with those landscape motifs. 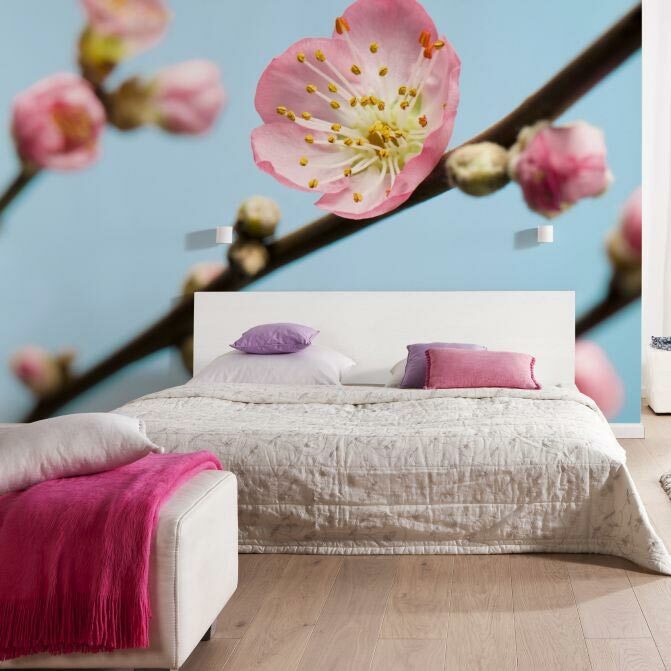 Bright flowers and blossoms in fresh white and sunny yellow are pure joy for life! 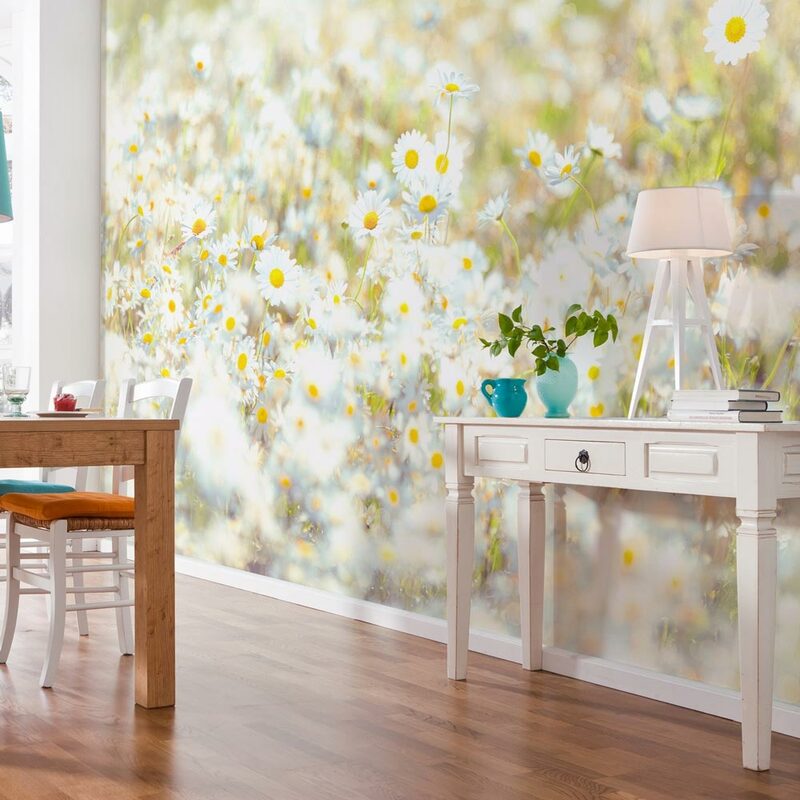 The flowery photomurals with summer meadows and fruit blossoms ensure freshness and color in the living room as well as a summery room atmosphere! 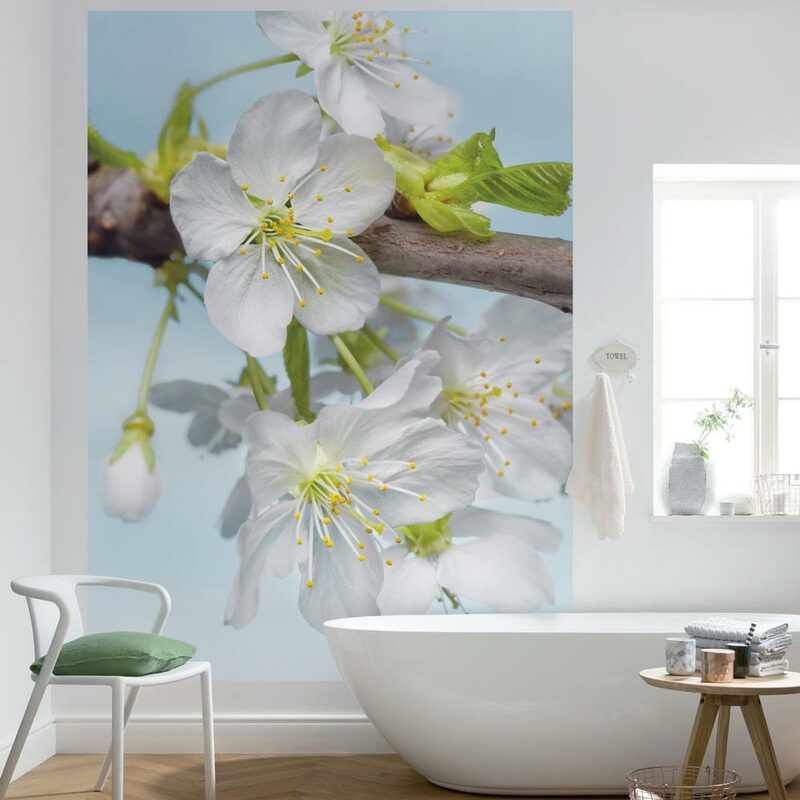 The perfect addition to the flower wall murals is bright white, beige or cream as they emphasize the airy lightness of the room concept.